Where does most of the water in the Truckee River come from? Primarily Lake Tahoe and Boca Reservoir. Who controls the flows of the Truckee River? The Truckee River watershed is primarily managed by the office of “Watermaster”, currently held by Chad Blanchard. What is a “Hoot Owl Closure”? States with quality fisheries like Montana issue voluntary closures when temperatures reach a certain high point multiple days in a row. Anglers are encouraged to fish the river until early afternoon, then leave it alone until the following morning. Examples can be found here, here, and here. Why do water temperatures affect trout species so much? For one, temperature dictates how much oxygen the water can hold so it directly affects their breathing. Secondly, trout are cold blooded so they can not “self cool”. Around 68 degrees life gets tough for a trout. Thirdly, trout spend a lot of their precious energy fighting for position and space during high temps because the percentage of the river that offers livable habitat dwindles immensely. Fishing to these fish only exaggerates the battle. Even if you catch and release quickly, fish will not likely recover from the lactic acid build up, stress and strain of being hooked, fought, and landed. In other words, over the high 60s, it is impossible to practice responsible catch and release. Hi Donald! This is amazing. If you make stickers, posters, and/or brochures I would be happy to approach folks fishing on the river in the afternoons to let them know about the cause. Let me know how I can help. This is great information. Thank you for getting the word out. Excellent information from some of the folks I trust. Thank you for getting the V.H.O.C. message out there. I have spent my life on the river hunting and fishing, I would love to give back. 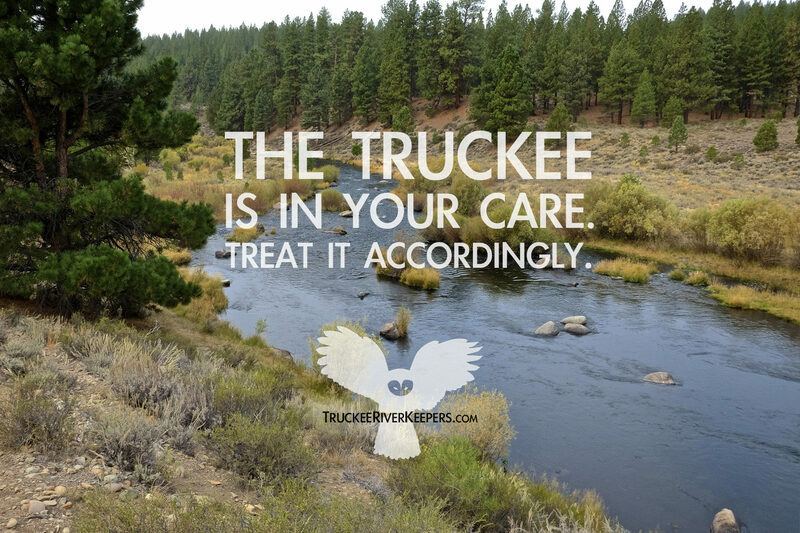 Let’s all get together and help our Truckee River out.